Wondering how your retirement savings stack up to other Americans’ nest eggs? Or whether your income in your post-work years will be enough to keep you afloat? It’s normal to be curious about the average retirement income in the U.S. Just remember that you need enough in your retiree days to meet your own needs, not to keep up with the Joneses. We all know that saving for retirement is the wise course of action. That’s why we have Social Security, a form of forced savings that diverts income from our working years to our golden years. Social Security benefits were never designed to be Americans’ sole source of retirement income, though. That’s why saving for retirement, either through an employer-sponsored plan or on your own, is so important. According to the Social Security Administration, Social Security benefits make up about 38% of the income of the elderly. In general, single people depend more heavily on Social Security checks than do married people. In 2014, the average monthly retirement income from Social Security was $1,294. That’s just $15,528 per year in Social Security benefits. Keep in mind, though, that your Social Security benefits could be smaller. If you don’t have 35 years of work under your belt when you start claiming benefits, if your earnings were consistently low or if you claim benefits starting at age 62 rather than waiting until your full retirement age (or age 70, if you want maximum benefits), then you can expect a small monthly check. There’s also a gender gap in Social Security income. Women, because they tend to earn less and work for fewer years, draw smaller Social Security checks than men do. The more money you make during your career, the greater the gap between your income needs and your Social Security benefits. Say you’re a family of four with two high earners, a big fancy home and a high-roller lifestyle. You’ll have a much harder time getting by on Social Security than would someone who is used to a lower-middle class income. That means you’ll need to allocate a healthy sum to retirement savings during your working years, or risk a downturn in your quality of life in retirement. If you’re married, remember that your retirement-related decisions affect your spouse, too. Surviving spouses who claim Social Security benefits have an average monthly income of just $1,244. The amount a surviving spouse can get from Social Security depends on the other spouse’s work history – and on when that spouse claimed Social Security. In other words, the spouses of folks who start claiming Social Security at age 62 will receive less money in survivor benefits. Compare the top 7 financial advisors in your area. You may have heard about an impending retirement income shortfall in the U.S. Words like “crisis” and “disaster” appear in plenty of articles that lament Americans’ lack of retirement savings. SmartAsset’s retirement calculator can help you figure out if you’re on track to meet your own retirement income needs, but what about the rest of country? According to the National Institute on Retirement Security, almost 40 million households have no retirement savings at all. The Employee Benefit Research Institute (EBRI) estimates America’s current retirement savings deficit at $4.3 trillion. What does that mean? Well, the EBRI report aggregates the savings deficit of all U.S. households headed by someone between the ages of 25 and 64, inclusive. In total, those households have $4.3 trillion fewer dollars in savings than they should have for retirement. Research by the Federal Reserve found that the median retirement account balance in the U.S. (among those who have retirement accounts at all) was just $59,000 in 2013. The mean balance was $201,300. Now consider that recent estimates put a retired couple’s medical costs at $200,000, assuming both retire at 65, the man lives to 82 and the woman lives to 85. It’s not a pretty picture. According to Gallup, the average retirement age is now 62. Let’s say you’ve done a stellar job of saving for retirement and you’ve decided to hang up your hat and begin the post-work phase of life. How do you know how much you can safely withdraw from your retirement accounts to live on? Unless you buy an annuity, you’ll have to make that decision based on your spending needs and on the performance of your investments. That’s why the typical recommendation – that a retiree follow a 4% annual withdrawal rate – isn’t fool-proof. 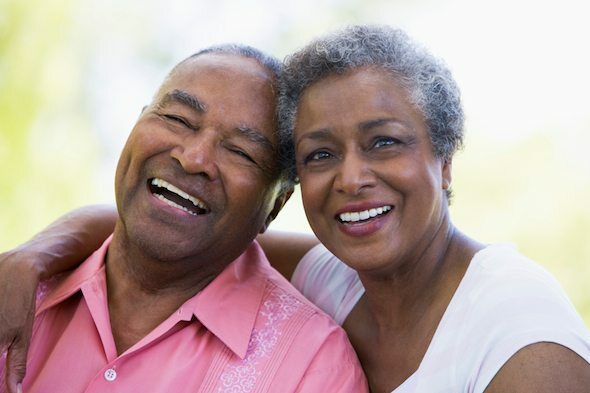 Our retirement calculator assumes that you’ll draw down your retirement income in a strategic fashion, letting tax-deferred accounts grow for as long as you can and spending from accounts with Required Minimum Distributions before you touch Roth accounts, to meet a specific lifestyle (either extravagant, similar to today, modest or budget-conscious). No 4% rule here. Social Security benefits are great, but they’re not much on their own. If you want to be able to supplement your Social Security checks with other retirement income, start saving. The earlier you begin contributing to a retirement account, the more financial comfort you can expect in your post-work years. 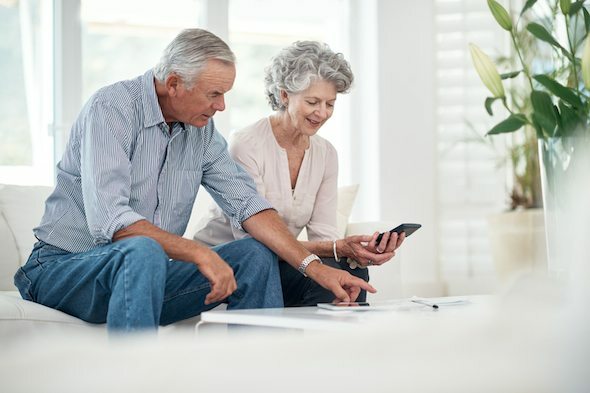 When it comes time to draw down your retirement savings, it’s important to be strategic to optimize the savings you worked so hard to accumulate. 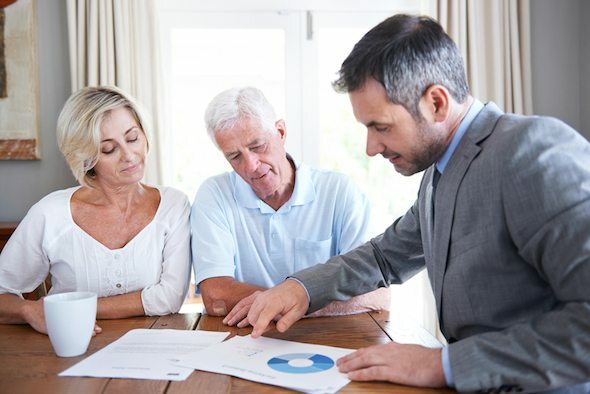 If you’re unsure where to start or whether you’re on track to meet your needs, a financial advisor who understands your individual goals can help you create or improve a retirement plan. A matching tool like SmartAsset’s SmartAdvisor can help you find a person to work with to meet your needs. First you’ll answer a series of questions about your situation and goals. Then the program will narrow down your options from thousands of advisors to three fiduciaries who suit your needs. You can then read their profiles to learn more about them, interview them on the phone or in person and choose who to work with in the future. This allows you to find a good fit while the program does much of the hard work for you.